BRENHAM, Texas -- Blue Bell Creameries recalled select flavors of ice cream distributed across the South after finding chocolate chip cookie dough from a third-party supplier for use as an ingredient was potentially contaminated with listeria, the Brenham, Texas-based company announced Wednesday. Blue Bell said it was recalling half gallons and pints of Blue Bell Chocolate Chip Cookie Dough and half gallons of Blue Bell Cookie Two Step made at its Sylacauga, Alabama, creamery after intensified internal testing found the cookie dough from Garner, Iowa-based Aspen Hills Inc. potentially tainted, according to a Blue Bell statement. No illnesses have been reported from the ice cream distributed in Alabama, Florida, Georgia, Kentucky, Louisiana, Mississippi, North and South Carolina, Tennessee and Virginia, the company said. Blue Bell said the recall involves Chocolate Chip Cookie Dough half gallons with the code date 082618226 on the carton bottoms and pints with the code dates 081518242 and 082418242, as well as Cookie Two Step half gallons with the code dates 080418222 and 081818224. Consumers should return the affected cartons to their place of purchase for full refunds. In October, CBS News did a series of investigations on the Blue Bell Ice Cream factory in Texas, that was linked to an outbreak of listeria. During the outbreak, 10 people became sick and three died. The company recalled 8 million gallons of ice cream. 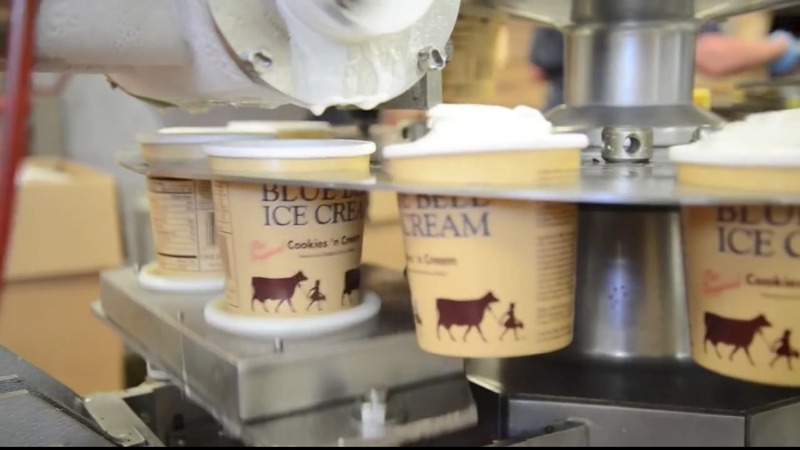 Before this, Blue Bell was the number three brand in the country and was sold in 23 states. In the three part series, former workers detailed the complaints they shared with Blue Bell management, which went largely ignored. And CBS News looked at how random testing led to the discovery of the deadly bacteria and how investigators were able to crack the case. Listeria can cause serious, sometimes fatal infections in young children and frail or elderly people, as well as those with weakened immune systems. Healthy people may suffer short-term symptoms such as high fever, severe headache, stiffness, nausea, abdominal pain and diarrhea, but the infection can cause miscarriages and stillbirths among expectant mothers.